I am big fan of Pinterest. I love saving things in my millions of boards I’ve created. 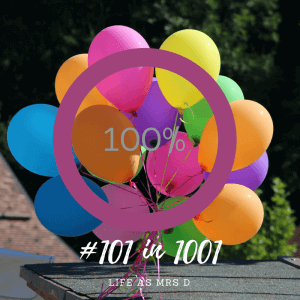 Things I’d love for my ideal house, things I’d love for a garden, things to batch cook for the freezer, salt dough crafts, ideas of activities to do with Isla. All sorts of things. For ages when looking through ideas I’ve seen about making play dough. I’d always been put off previously as Isla likes to put everything in her mouth. Always has done. So I was worried about the high salt content in most play doughs. 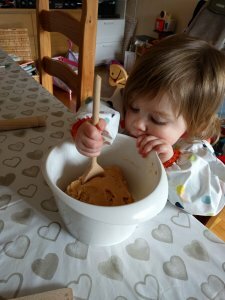 But I had seen various recipes for edible play dough, and thought I’d give one of them a try. 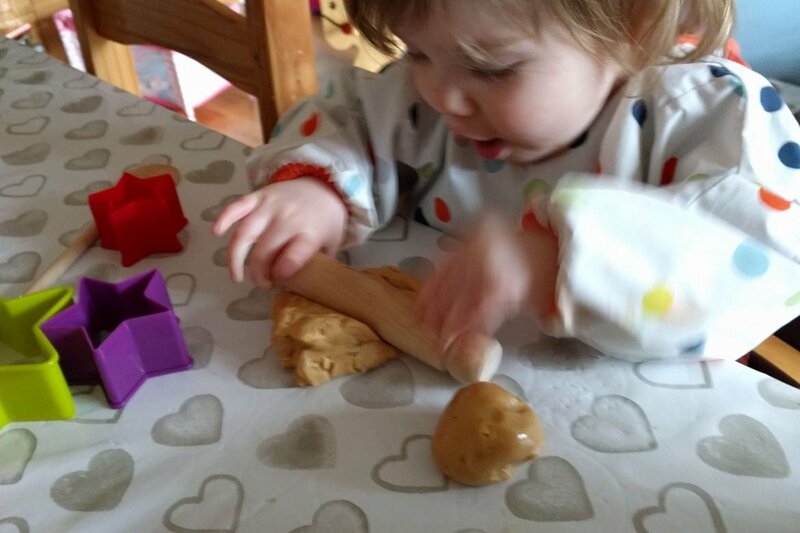 I decided I’d give this one a try as Isla is pretty obsessed with peanut butter (obviously takes after her Mother!) 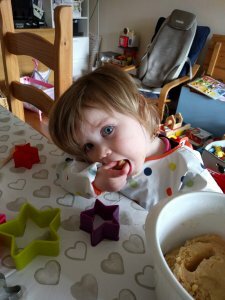 I knew when making it that Isla would like it, partly cos it was going to be really sweet, and partly cos she saw the jar of peanut butter out, and was asking for it the whole time. Where is says to use powdered sugar (obviously an American site) I took that as being icing sugar, not sure whether that was right, but the recipe seemed to work. I made the play dough in our food mixer. Thinking about it I should have done it in our food processor, as my kitchen was covered in icing sugar by the end of it! 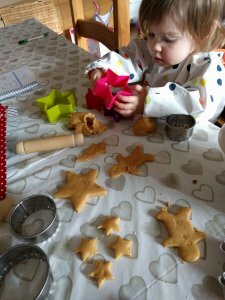 I was keen for Isla to help make it, though I wasn’t too keen on her using the food mixer, so she tipped some of icing sugar in (maybe part of the reason it was everywhere!) and then afterwards she did some more stirring. I think was possibly wasn’t really high enough to make this easy for her, but hey ho! After a while she decided it would be fun to roll it out with her rolling pin that was part of a baking set Aunty Jamie and Uncle Heather for her for Christmas. 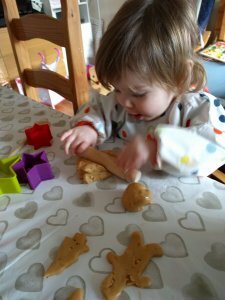 Isla was quite intrigued by all the shapes I was making out of the play dough with the cookie cutters, and tried to make some herself, with some success – a gingerbread man turned out OK, his arm was just a little loose by the time she’d extracted it from the cookie cutter! All in all, we both had fun making play dough and then making shapes out of it. I’ve put it in a tub in the kitchen, and honestly haven’t looked at it again since, so I’ve no idea as to whether it is still usable. If not, I’d be tempted to try a different (slightly less sweet) recipe in the future. Does anyone have any suggests for recipes?